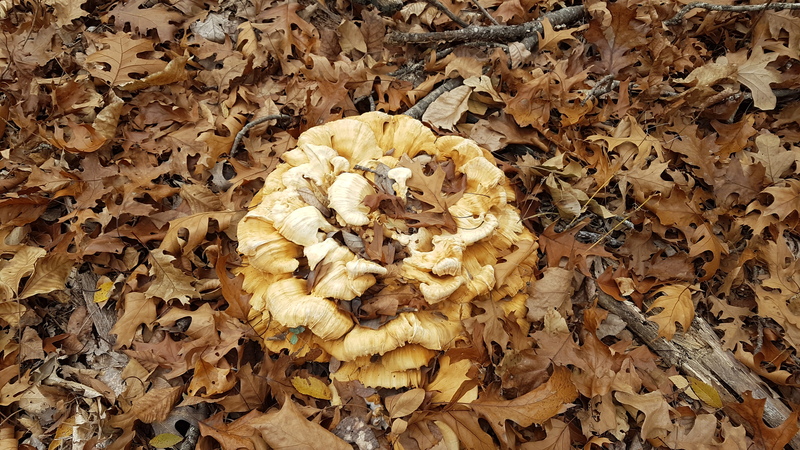 What say y'all snap pics of the next interesting looking fungal critter(s) you come across and post it/them here. Don't go ninja-in' nobody don't need ninja-in'. Let me look in the fridge right quick to see what's growing in there. The grout between shower tiles usually makes for pretty good hunting grounds too. It's called Lions Mane fungus. Through the binos from a distance it looked like some kind of furry softball sized creature that didn't move for several hours while on stand. It looks like it's be soft to the touch but it wasn't. Kinda rough and spiny feel. Take no part in the unfruitful works of darkness, but instead expose them. That looks kinda' like a tree-dwelling porcupine that uses really good conditioner. Apparently it's edible and has medicinal purposes. 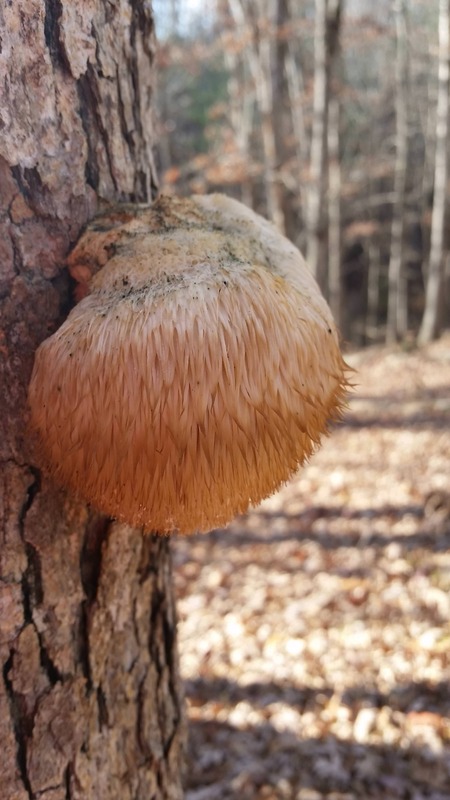 It's also known as monkey head mushroom, bearded tooth mushroom, satyr's beard, bearded hedgehog mushroom, pom pom mushroom, or bearded tooth fungus. It might be medicinal but I think I'll stick to Advil and beer. Cool. Never seen anything like either of those around here that I recall.